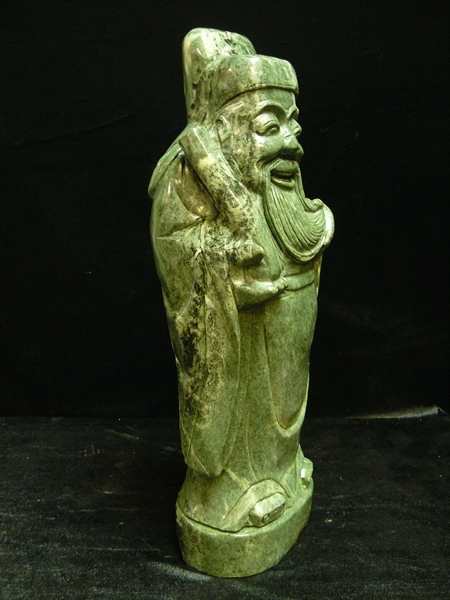 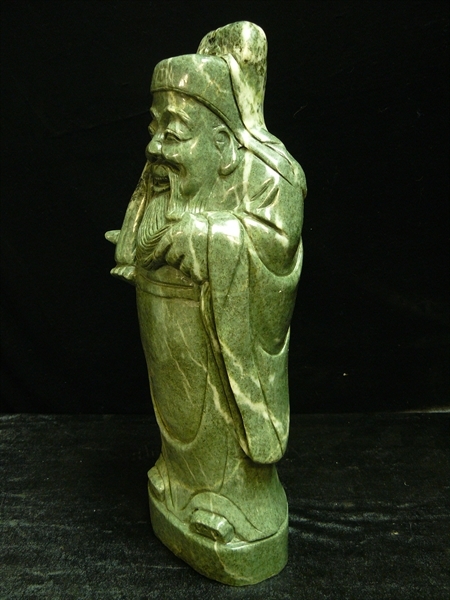 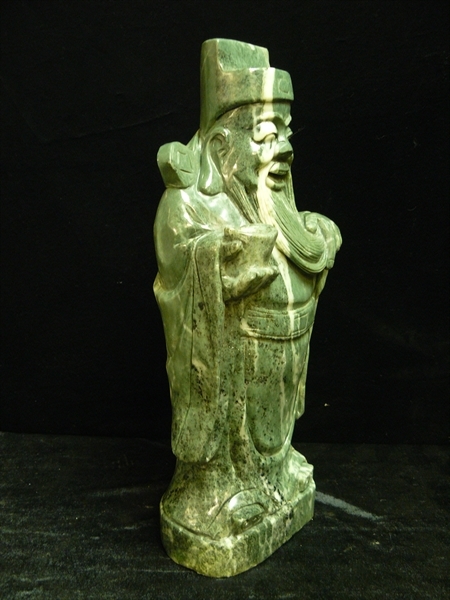 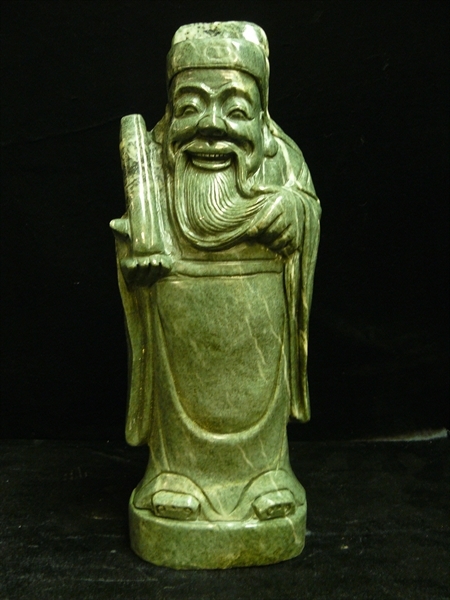 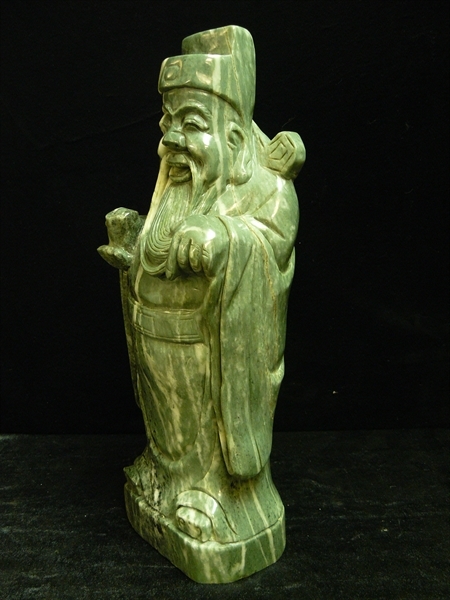 Size: Wide 8", Deep 5", High 20"
This is a set of Jade 3 Wisemen, The Fu, the Lu and the Shou. 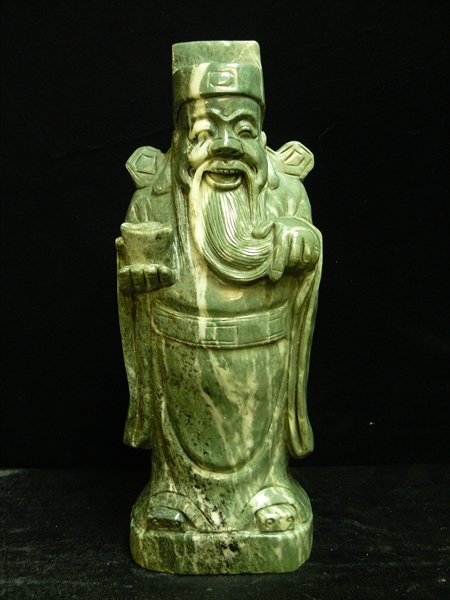 Prounced as "Fook", "Look" and "Shau". 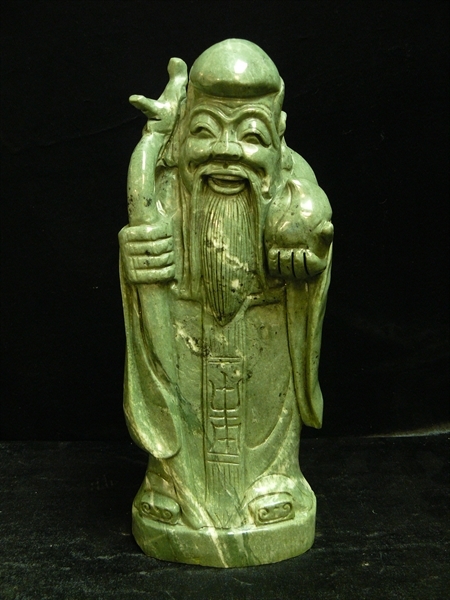 Fu, the Fortune God. 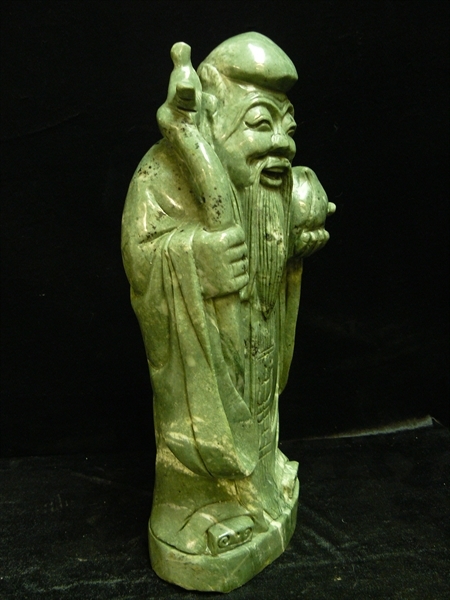 Lu, the Wealth God, and Shou, the Longevity. 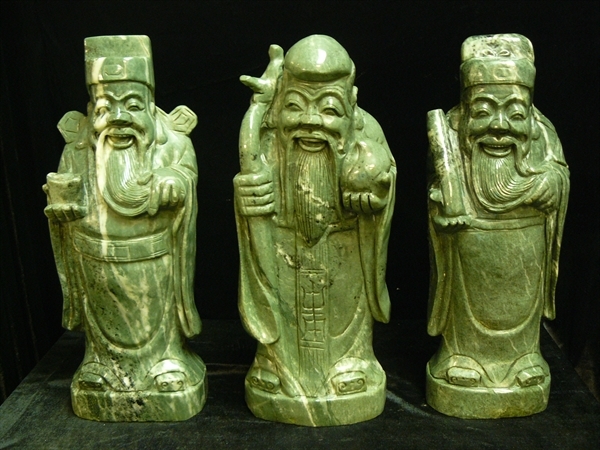 Each of them is all hand carved from one solid piece of jade. 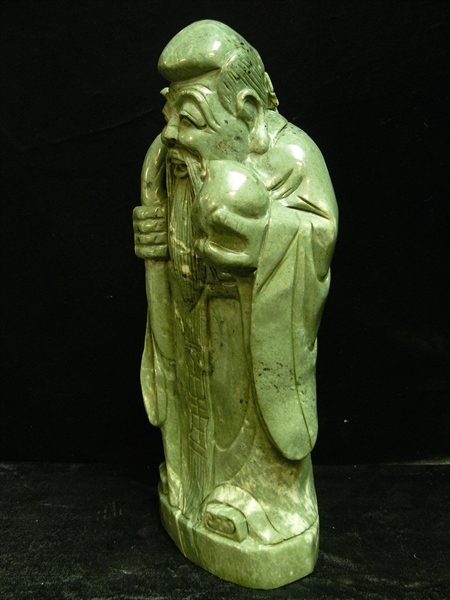 Light green with some areas dark green.